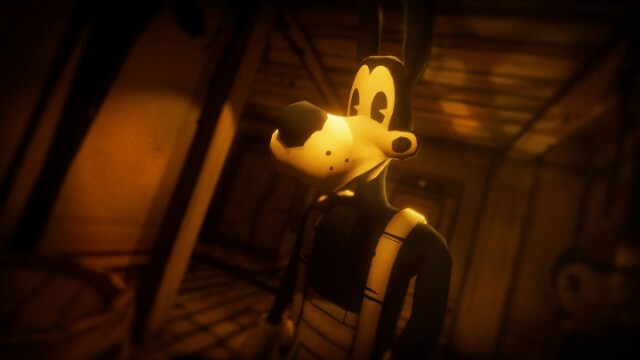 After first being released on Steam in 2017, Bendy and the Ink Machine has finally got a release on Xbox One. Originally released as an episodic game, Joey Drew Studios’ first-person horror puzzler gets a full release on console, with an additional chapter added to make a total of five. With a unique art style and enough horror elements to provide more than a few creepy moments, Bendy and the Ink Machine gives a truly unique experience as you progress through the short but fun story. However, at the price tag of £21.19, is this 5-6 hour experience enough to make you feel like it’s worth the purchase? Despite some flaws, the answer for me was an uneasy yes. Bendy and the Ink Machine is set in the now defunct Joey Drew Studios, which, in its heyday, produced successful and popular animated stories. You play as Henry, a former employee who worked at Joey Drew Studios in the 1930s, now returning to the studio years later to determine the fate of the people he worked with there. In order to do this, you’ll have to solve various types of puzzles as you descend deeper into the studio’s facility, and also deeper into the madness that created the monsters you’ll have to face before solving the mystery. Puzzles in Bendy and the Ink Machine are varied and, in some cases, really inventive. Early in the game, the puzzles are meant to also help teach you the mechanics of the game and how to explore the world, so you’ll find more simple fetch quest types of puzzles in Chapter 1. As you progress through the chapters however, things become more difficult and definitely more horror driven. Some even require listening to audio logs that can be found in each chapter in order to get a clue that proves to be vital so you can advance. In one case, where Henry has to play instruments in a certain order to open a door, the instruments that have to be played and the order you play them in will change every time you run through the game. As you advance, you’ll encounter numerous enemies that you’ll have to either defeat, or avoid, to stay alive. The primary antagonist in the game is Bendy himself, who is an incredibly evil looking creature that only slightly resembles the Bendy drawings you come across in Chapter 1. When Bendy appears, you have to run away and try to hide. There’s no way to fight him – if he touches Henry, it is immediate death. You’ll know if Bendy is close because the walls and floors will become covered in what resembles an ink-like shadow. Other enemies can be fought with varied levels of success (you can’t kill The Projectionist either, but he doesn’t kill you with one hit). You’ll encounter enemies ranging from the Lost Ones to the standard Ink Demons, but unless you have a weapon handy, you’re defenseless against any enemy. Speaking of weapons, they range from a syringe or two different kinds of pipe, up to more traditional weapons like an axe or even a tommy gun in one scenario, and these weapons can be obtained in a few different ways. Sometimes you will find them in the world and pick them up, while there are also moments where you will be given a specific weapon by a character you’re doing a mission for. Finally, the most interesting way to acquire a weapon is when you have to collect gobs of ink and take them to what is essentially a crafting station, where you can turn them into a weapon or various other items you need for a specific puzzle. To use the weapons, you’ll need to master the very simple, yet often clunky and frustrating control scheme Bendy and the Ink Machine offers. Pressing the X button will interact with items – picking up a collectible or puzzle item, selecting a weapon to carry, or playing an audio log. The right trigger will cause Henry to attack enemies if he has a weapon, or throw empty cans to distract and sneak around them in certain situations. Hitting the A button will make Henry jump, but there aren’t a lot of instances in Bendy and the Ink Machine where jumping is necessary. Finally, the left bumper will make Henry sprint, albeit not very fast. That’s it. Further to that, the combat mechanics can be particularly clunky – to the point where it becomes frustrating. When battling the ink demons that rise from spilled ink on the floors, there have been many times where I have had the cursor right over the enemy, and even though Henry swings the weapon, it’s as if the enemy isn’t even there. Luckily, it requires a fair amount of hits from them for Henry to die, so it never comes with too high a price – but it remains frustrating nonetheless. 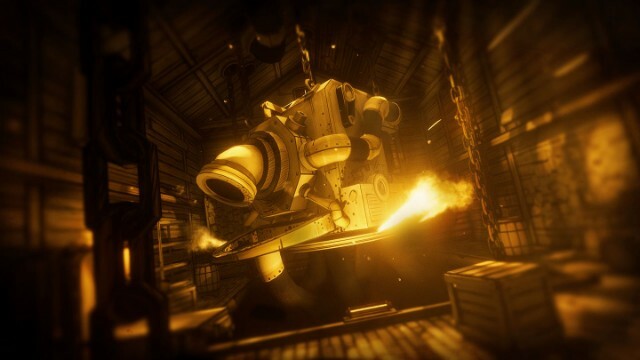 While solving puzzles, fighting enemies, and descending through the levels of the Joey Drew Studios building, you’ll get to experience the true star of Bendy and the Ink Machine – the world itself. The art design gives the world the feeling of being inside a 1930s cartoon, reflective of the time that the studio in the game was at its peak. Chapter 1 finds Henry on the main floor of the studio, and the environment is much brighter in tone than you will experience as the game progresses. With each chapter, the aesthetics become much darker and more sinister, also reflective of how a studio can start out pure and then over time allow elements like greed to create a monster. The graphics are nothing too special in Bendy and the Ink Machine, but this isn’t a game that relies on state-of-the-art visuals to drive story or gameplay. The art design alone makes Bendy and the Ink Machine worth experiencing, as it does wonders in setting tone and being a major component in telling the story. 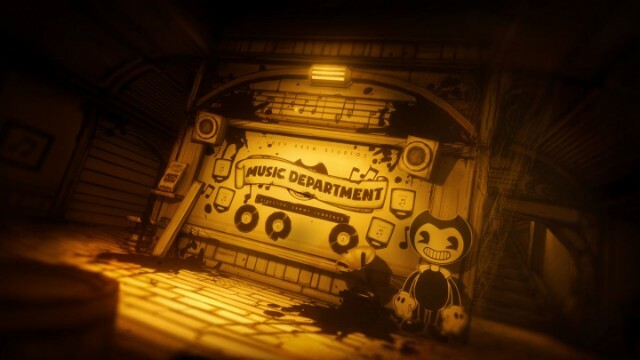 Music and sound effects in Bendy and the Ink Machine aren’t overdone as they are in so many horror games and movies, and they both add quite a bit to the experience Henry has as he progresses through the different levels of the studio. Simple sound effects like ink dripping or a door opening contribute to the tension in a significant way, and the music that hits when you are spotted by an enemy and have to hide effectively provides a true horror feel in those moments. The sound in Bendy and the Ink Machine is used exactly as it should be – to amplify fear in tense moments and to combine with the art design to allow the world itself to tell a lot of the story. Bendy and the Ink Machine is however not a perfect game, and it has its share of negatives. First, as mentioned earlier, the combat mechanics can be downright frustrating at times and completely take you out of the immersion the environment can create for you. Second, while many of the puzzles and missions are fun and even inventive in some instances, others give the game a feel of being repetitive and some of the missions feel long for the sake of being long. I always personally feel that fetch quests are perfectly fine early on in a game when the player is learning the mechanics and how things functions overall. Later in a game, the missions should be more impactful and meaningful, and Bendy and the Ink Machine sometimes misses with this. When it was an episodic release on PC, these quests probably didn’t feel as repetitive as players had time between playing each chapter. When playing the whole game through in one go though, it is much more problematic. The combination of missions that are repetitive or too long with the clunky combat mechanics can be downright maddening at times. 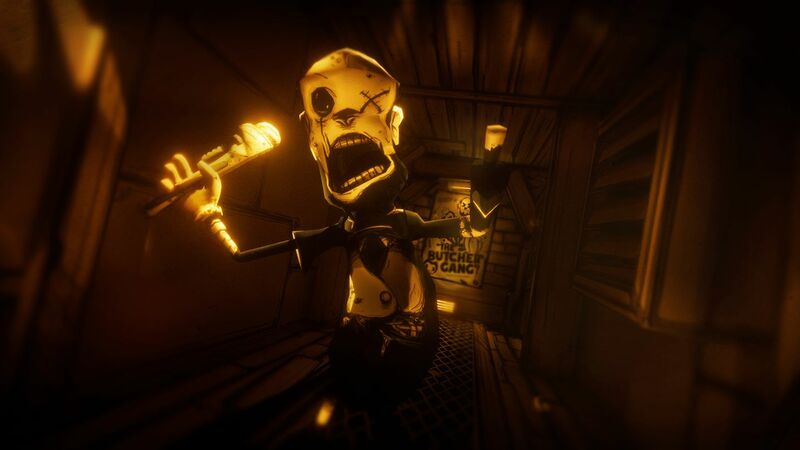 Though it isn’t a perfect game by any means and can be incredibly frustrating at times, Bendy and the Ink Machine is a fun game that mixes horror elements with a cartoon environment that gives players some enjoyable yet scary moments along the way. Is it worth the price tag? That is really going to depend on whether or not you enjoy games of this genre, and whether things like the environment matter more to you than control mechanics and repetition. However, if you do choose to play Bendy and the Ink Machine, you’ll experience an environment that is crafted well, characters that are interesting, and a story that speaks well about how art that starts with the best of intentions can easily turn into a monster over time.